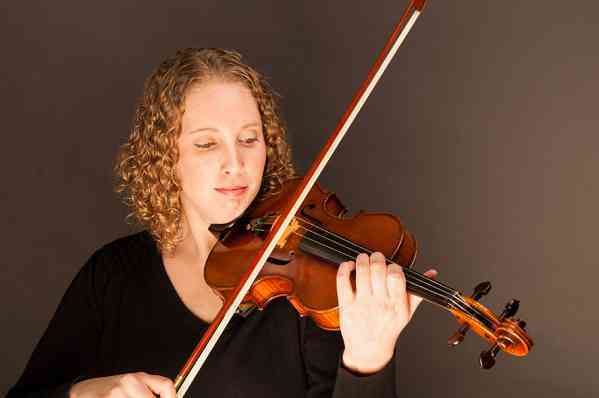 Erin Brenna Grorud has over 16 years of experience teaching violin and viola to a wide variety of students. She uses Suzuki principles in her teaching and follows Dr. Shinichi Suzuki’s philosophy of “Every Child Can.” With proper guidance and nurturing, all students can develop musical talent and a love for music, but more importantly, they become remarkable people. Erin is a graduate of the University of Denver-Lamont School of Music in Denver, Colorado where she earned a Master of Music degree in Suzuki Violin Pedagogy. While in Denver, Erin had the privilege of teaching many young students and working with the Denver and Boulder Suzuki Talent Education programs. Prior to her graduate studies, Erin attended Concordia College in Moorhead, Minnesota where she received a Bachelor of Music degree in Music Education. Erin spent several summers working with young musicians at Blue Lake Fine Arts Camp in Twin Lake, Michigan where she taught violin and viola sectional/technique classes. Erin also has extensive experience working with children on the autism spectrum and with other developmental disabilities. Currently, Erin is the principal second violinist of the Kenwood Symphony Orchestra and has also served on the KSO board. She is an active member of the Suzuki Association of the Americas (SAA) and the American String Teachers Association (ASTA). In her free time, Erin enjoys gardening, hiking, and spending time with her dog, Sadie.